When the black envelope embossed with gold writing popped through the door I had no idea what to expect. 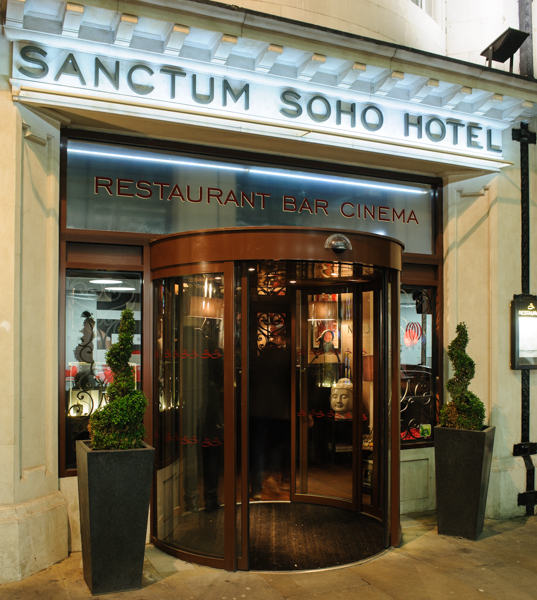 As soon as I opened it I quietly mouthed the words “how freakin’ cool” (expletives have been substituted) as I read that I had been invited to a launch event at the Sanctum Soho Hotel. So what was being launched? 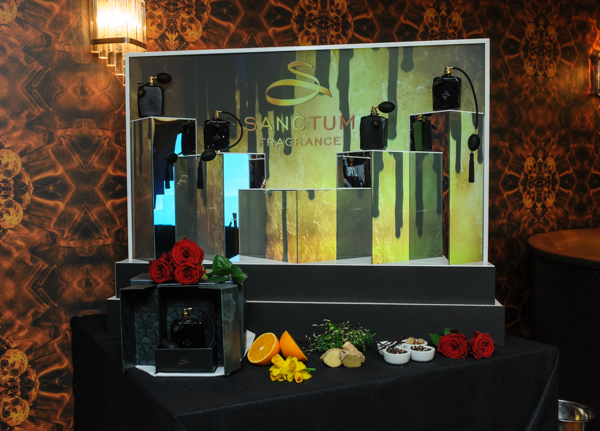 Well, first of all there was the limited edition Sanctum Soho fragrances for him and her along with a range of cosmetic/clutch/wash bags designed by world renown tattooist Dan Gold. How cool is that wallpaper?!? As soon as I wandered into the hotel (the first time I had visited) I was blown away by the cool atmosphere - not only did I get to finally say hello to the lovely Sophie (the reason for my love of all things Fish Soho) from KMI Brands, but cool oozes out of every pore of this 30 bedroom hotel in the heart of Soho. 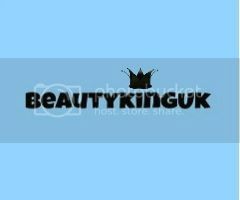 There are some pictures below of the products themselves. The limited edition fragrances (which retail at £195 here), developed by Domitille Bertier come in a stunningly cool box designed by Dan, using his revolutionary style of fusing tattoo art and graffiti. Personally I love the box design, and I want one! 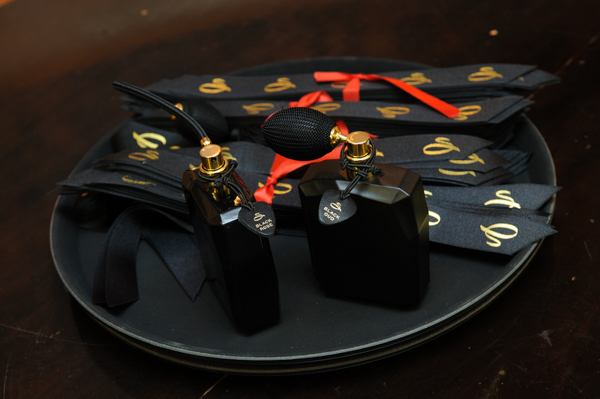 As for the fragrances I found myself moving through a range of emotions as I tried the male version. The top notes of pepper are really strong, and I mean, stupidly strong on first application but it dries down faster than anything I have ever smelt before, which means that the initial phew is replaced by a wow.….warm and spicy. Nice. The female version reminded me of about three other female perfumes. It sort of started off like Bvlgari Pour Femme to me and dried down to smell like a lighter version of Jo Malone. Strange, but I did keep going back to sniff it more. Again, lovely stuff. Now, for the Dan Gold designed wash bags - out of this world. With prices ranging from £12.50 to £26, so quite affordable and a perfect chance to own what are in effect multi-purpose bags with stunning designs on them. 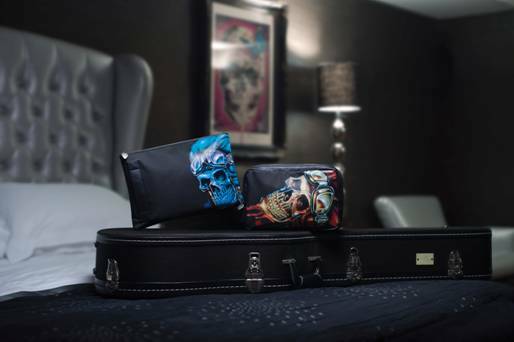 You can see the whole range here but personally I like the Rose Skull Comestic Purse, it would make a great gift and the male wash bags (that are large enough to be used as tablet cases) would be an excellent gift for men who like skulls, tattoos or edgy street art. Apart from playing the celebrity spotting game, sipping champagne and soaking up the edgy atmosphere I had a lovely evening, it’s one I won’t forget. Me trying not to be blinded by the flashes or projection! Now I just need to save up enough for a bottle of the aftershave and a night in one of the suites at Sanctum Soho Hotel, everything about it oozes class and sophistication. Top notch evening and top of the range products. Thank you Sanctum and thank you KMI Brands. As an aside, you can see my footage of the cool presentation of the products on my Instagram page here (crank up the sound to hear the amazing soundtrack). It sounds like it was an amazing event... lucky you! Looks like an amazing hotel. I like the fact that the bottles and bags are a bit different and really stand out. such a stunning venue and those bags are amazing!! love the artwork!! 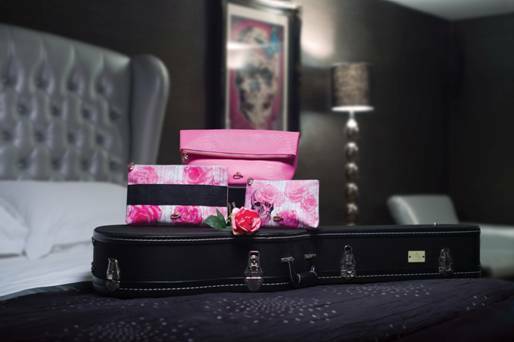 The hotel and bags are great. The perfume is way out of my price bracket though!! 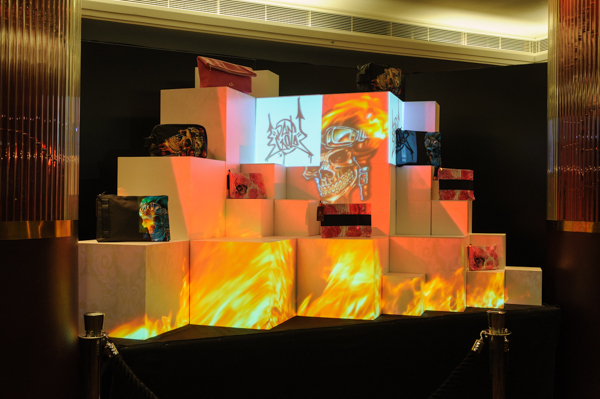 This sounds like a great event and I love the bags. Wow the hotel looks lovely! The perfume looks good. I really want the pink bag with the skull on. It's right up my street! Sounds like a lovely event, and glad you had a good time! Thanks so much for your sweet comment on my blog. These designs are amazing! I think most hotels in Soho are so cool, not been to this one so will have to rectify that! Love love the wash bags and will be seeking them out. The hotel sounds amazing and it looks like you had a great time. The pictures look great! Seems like a lovely hotel! Everything looks and sounds just perfect! I would love to try those perfumes out myself. And bags are just lovely! Absolutely love the packaging on both fragrances! how cool that all looks. What a swish event!! I LOVE those Dan Gold Skull bags - gorgeous. looks like a great night! so fancy!